I love a good red lip. Red dresses up any look and makes you feel feminine. Generally I lean towards a more natural look from day to day, but when I want to feel a little special I’ll reach for the red. Every shade of red, whether it be a fire engine red, a pimento with a hint of orange or a dark crimson looks different on everyone. I have admired someone’s color and then tried it on myself, only to be disappointed that it didn’t complement my coloring. There are actually hundreds, if not thousands, of different reds to choose from. How do you know what works for you? They say that the best way to find your perfect red is to go into a cosmetic store like Sephora or a makeup counter like Benefit and ask a professional to match your skin tone. They can help you find your perfect shade. Wear very little eye make-up. Your lips are the main focus here and just a little bit of mascara will do the trick. Avoid darker shades of red if you have thin lips. They tend make them look smaller. To prevent bleeding, apply a small amount of concealer around the border of your mouth. To prevent your red lip from fading, fill them in with a matching lip liner before applying your lipstick. Avoid getting red on your teeth by placing your index finger in your mouth and close. Then pull your finger out to get rid of any excess. Wear your red lip with confidence. My favorite reds: 08 Iconic by Jemma Kidd , Russian Red by MAC, Wild Rose by Korres and my go-to red tint is Sugar Cherry by Fresh. Do you have a favorite red? Photos above: top left, top right, bottom left, bottom right. Magnifique ! J’adore le rouge à lèvres et ces couleurs sont fantastiques ! Wonderful ! I love lipstick and this colors are fantastic ! i love a good red lip! my current favorite is stalker from obsessive compulsive cosmetics. Totally! Red is my signature color within my friends and family, it’s such a statement color. Thanks for the red recommendations! 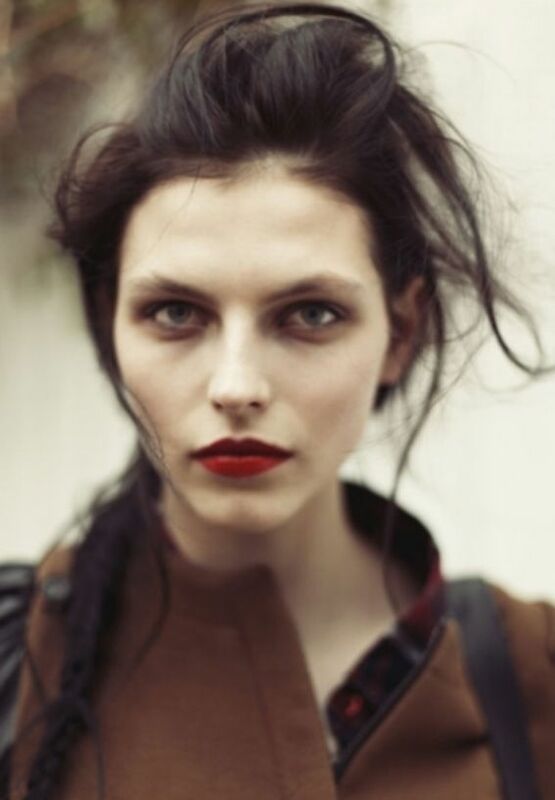 I do love the look of a nice red lipstick but find it doesn’t do me any favours. However, with thinner lips, I think I’ll try your tip to use a lighter red shade. So thanks for that! The Nars stick in Pop Life is great. Creamy enough but not too slippery. It lasts too. I love red lipstick too, and I have various shades, even some that go towards very dark red and other very girly pinks. But my problem is I always have chapped lips, and not matter how much time a day I put lip balm on, they don’t get better. Do you have a miracle solution ? I’ve been trying to find something for ages ! I have tried but I have never found one I love. Great tips! Love red! Russian Red is a fave for sure. Fresh Sugar Berry is fun too. More of a deep pink but fabulous. And here I thought I was the only person loving Russian Red!!! Love the top left picture! I love a red lip and always have a difficulty finding the right shade for me. I also read from beauty guru on youtube, Michelle Phan that you can take a look at your veins and that will help determine what kind of shade will work best for your skin tone. Russian Red and See Sheer from Mac. Totally agreed. I love Ruby Woo by MAC, amazingly matte. Ditto – Ruby Woo rocks! I ADORE red lips. It can instantly boost your mood to walk out the door with a great red lip. I have a couple of colours that I’ve purchased from Sephora, but recently I’ve been finding great shades at the drug store – and better prices. The two I love right now are “Everlasting” by Covergirl, and “On Fire Red” by Maybelline. I find mixing reds can be fun as well. I’m on the prowl for the perfect red. I love the look of a denim shirt with red lips! I tend to use coral in summer and darker (berry) shades in winter, but it’s not a strict rule really. My new love is orange. I am a big fan of the statement lip. I do red, pink, purple…my current crush is a deep pomegranate-like color from Makeup Forever called Rouge Artist.